Olimp Q10 - Maintain a youthful look, energy and efficient heart! 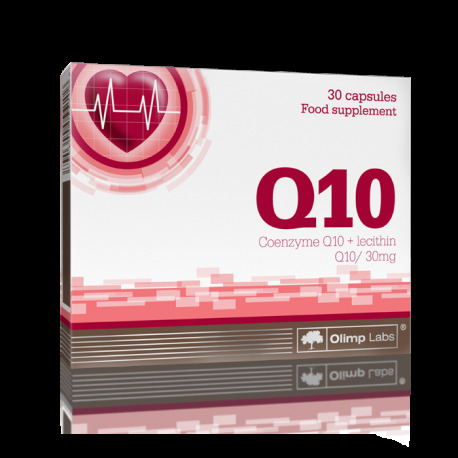 OLIMP Q10 is a dietary supplement containing co-enzyme Q10, a vitamin-like substance which enhances efficiency, strengthens the heart and improves the functioning of the immune system. OLIMP Q10 is complemented with the addition of lecithin, which helps the body absorb this substance better. How does co-enzyme Q10 work? This compound supervises energetic processes taking place in mitochondria, special cell "power stations", which are responsible for the production of 95% of the energy needed to live. This energy is specially necessary for the heart, liver and kidneys, thus the highest concentration of co-enzyme Q10 can be found in these organs. The greater the deficiency of co-enzyme Q10 observed in the cells of the heart muscle, the greater the heart's efficiency is. Does co-enzyme Q10 have a rejuvenating effect? It is one of the most efficient substances responsible for removing free radicals, aggressive chemical molecules responsible for the accelerated process of ageing and the contraction of numerous dangerous diseases. At the same time, co-enzyme Q10 boosts the activity of defensive cells. Tests on animals revealed that supplementation with co-enzyme Q10 resulted in life prolongation and ensured vitality and youthful appearance till their death. Is co-enzyme Q10 supplementation necessary? As the years go by, the cells of our body more often suffer from the deficiency of this extremely valuable compound. At the age of approximately 40 we have only 75 % of the amount of co-enzyme Q10 which we used to have when we were young; whereas in old age this amount decreases to half, which results in a drop in efficiency, increased susceptibility to diseases and the accelerated process of ageing. Thus, the additional supplementation of co-enzyme Q10 can reverse a range of harmful consequences and assist the general health condition. Does co-enzyme Q10 aid in sport? This compound is deeply involved in the process of energy production through oxidation in the body, thus co-enzyme Q10 supplementation contributes to increased efficiency in endurance sport disciplines. It also protects the body from the effects of so-called oxidation stress. 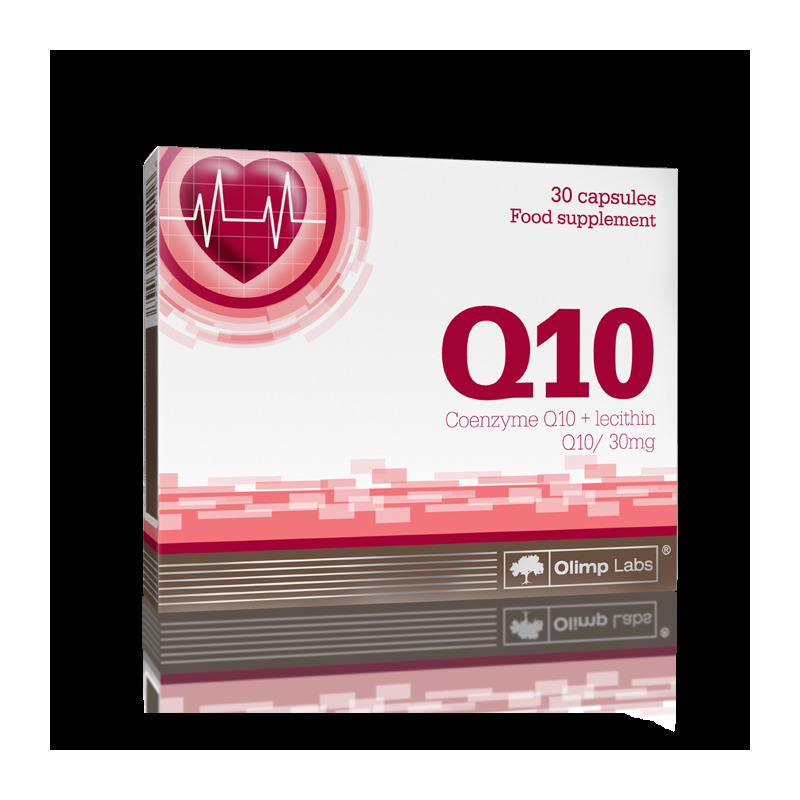 Co-enzyme Q10 is one of the most important dietary supplements assisting sports. Who is OLIMP Q10 recommended for? Co-enzyme Q10 supplementation is recommended especially to middle-aged and elderly people, when the level of this compound in the body is decreasing significantly.  What is more, this compound assists general physical efficiency and sporting form. 1 capsule a day after a meal. The product is recommended to adults as a food supplement. Food supplement should not be used as a substitute for a varied and balanced diet. A varied and balanced diet and healthy lifestyle are recommended. It is recommended especially for middle-aged and elderly persons as well as for pro-active persons and sportsmen.